The fischertechnik Bluetooth Racing Set is a complete set for building three innovative vehicles in the new fischertechnik design. 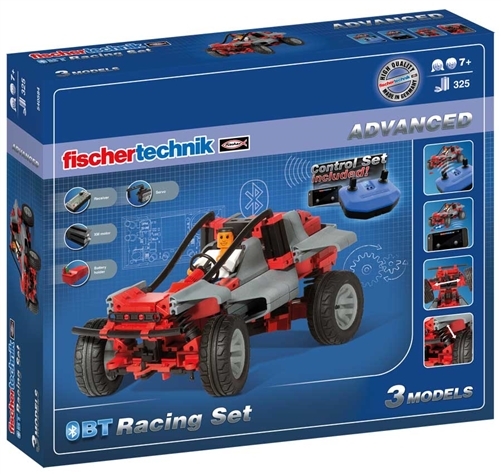 The set contains over 350 pieces for building a racetrack, a roadster or a wheelie vehicle, which travels on its back wheels. 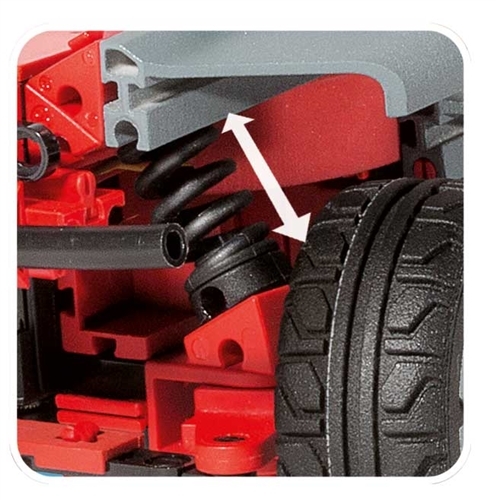 The suspension system on the vehicles makes them suitable for any terrain. The vehicles can be operated by remote control or by Smartphone/tablet – with a range of up to 10 meters. 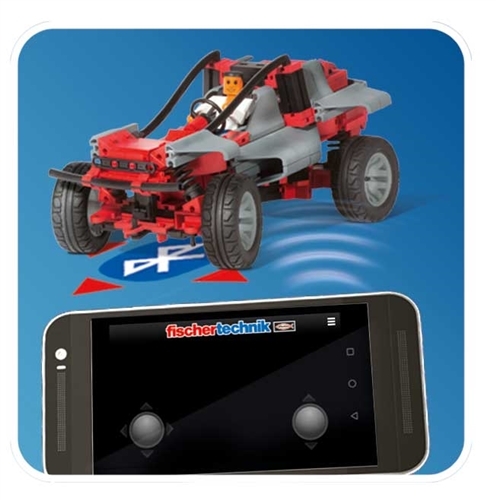 The RPM of the gear motor and the servo steering angle can be freely adjusted from a distance.